With a low profile and 1.3 cm width, the Tina cigar band manages to be both comfortable and chic! 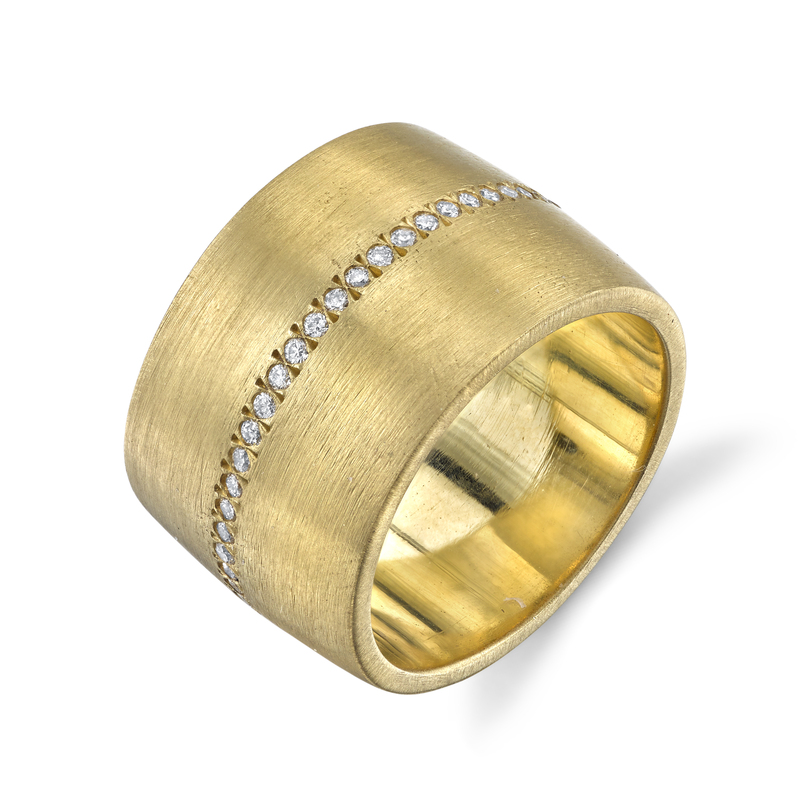 Made in 18k brushed yellow gold, the band is flush-set with an eternity ring of tiny round brilliant-cut diamonds to provide a little sparkle. The Tina cigar band we have in stock is currently a size 6. Please contact our concierge to order the ring in your size!